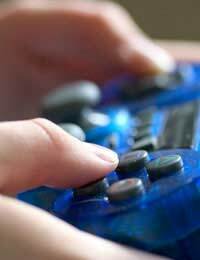 Games consoles are great ways of relieving stress and having fun at the same time. What could be better than killing a few aliens, saving the planet and winning a grand prix in the space of an evening? There’s not a great deal of choice when it comes to games consoles nowadays, with just three main competitors. Each one brings something to the market though that should appeal to you and the type of games you play. Today games consoles are so much more than simple graphical entertainment as they can be used to store music, video and pictures as well. They really are becoming the hub of our digital amusement. The Xbox 360 is one of the most popular in the market at the minute. It’s incredibly powerful and has a fantastic range of games available. These range from kid friendly stuff right up to bloody killing spree type games. There’s also a host of accessories available for the console. The Xbox can also be used to manage all your music and digital pictures making it a much more useful machine. It’s getting a bit long in the tooth in console years but it is still a very powerful and graphically competent machine. The Playstation 3 is the very latest and most powerful games console available today. It was plagued by delays and set backs during production but now that it’s out it is proving very popular. It’s still very expensive but the range of games you can get represent some of the most advanced and best looking available. The Sony also comes with a Blue-ray drive for playing the next generation high definition content so if you’ve got a HD ready TV you can benefit from superb quality video. The Nintendo Wii is an attempt to beat its rivals, not with power but novelty. The Wii doesn’t have a super powerful processor or the most recent graphics capabilities. It doesn’t even have a large number of games, but it’s proving to be a top seller. Not just because it’s cheap either. The Nintendo utilises motion sensitive controllers so that you feel much more part of the gaming experience. When you’re playing a golf game you swing the controller much as you would on the course. The same is true of the tennis, baseball and ten pin bowling games. The Wii games tend to be aimed more at the family than the other consoles so you find less of the killing and maiming games for this console. Making your choice should be fairly simple. If you’re after the latest graphics and technology it’s got to be the Sony but if you’d rather have a capable machine with lots of games then the Xbox should be on your list. If what you want is a bit of fun then you should consider the Nintendo Wii. Each of the consoles offers advantages over the others but each is guaranteed to bring a little bit of fun and escapism into your front room.